Google has announced that G Suite Users will be moved from classic Hangouts to Hangouts Chat and Hangouts Meet in October. If you have a consumer Google account then this will NOT affect you. Hangouts Meet video calling is ready to go. It's already possible to have group video calls with people outside your organization and has many improved features. Compare Hangouts Meet to classic Hangouts video calling to see the differences. Hangouts Chat on the other hand is still a work in progress. Google has promised a number of significant new features will be added before the transition in October to make that process less painful. April 16, 2019: for G Suite domains using classic Hangouts, Hangouts Chat will automatically be enabled for the web and mobile devices. 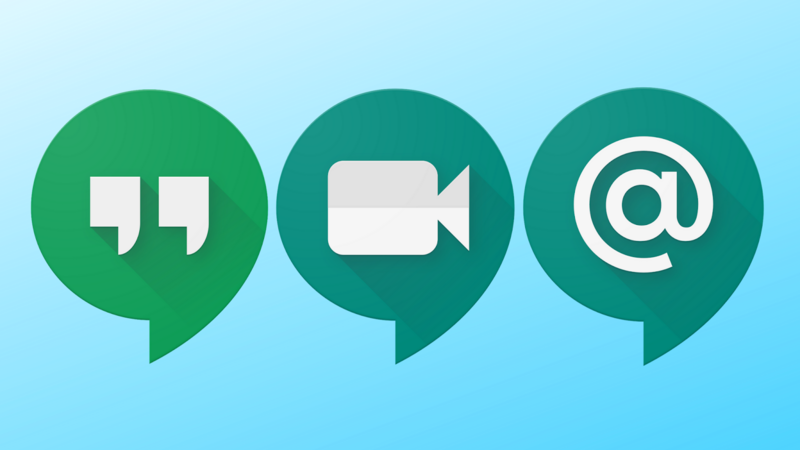 Users can continue to use classic Hangouts. October 2019: Classic Hangouts will be retired for G Suite and users will be transitioned to Hangouts Chat. If you are a G Suite administrator, be sure to read the official announcement on the G Suite Updates blog. That has more details about changes to G Suite admin settings for Hangouts and Google Vault. Direct messages can be accessed in both classic Hangouts and Hangouts Chat. Currently that's only available for one-to-one conversations between users on the same domain. In April 2019, users of classic Hangouts can direct message any Hangouts Chat user, including external users. Group conversations are not accessible from both classic Hangouts and Hangouts Chat. Any group conversations in classic Hangouts will have to be re-created in Hangouts Chat.